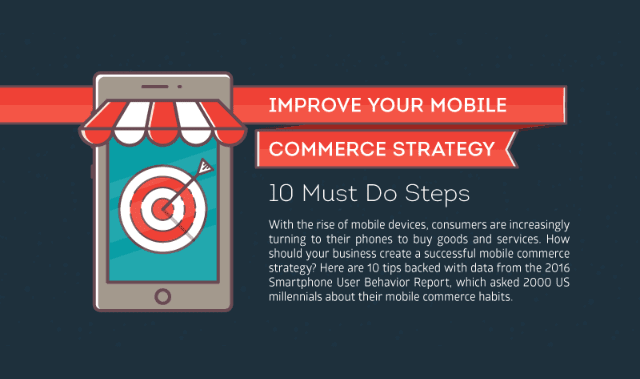 Improve Your Mobile Commerce Strategy #Infographic ~ Visualistan '+g+"
With the rise of mobile devices, consumers are increasingly turning to their phones to buy goods and services. How should your business create a successful mobile commerce strategy? Here are 10 tips backed with data from the 2016 Smartphone User Behavior Report, which asked 2000 US millennials about mobile commerce habits.